New Nike in Store Saturday 12.19.09. Nike has teamed up with Wood Wood to take on lightweight and protection. The end result of this partnership is the Lunar Wood TZ, a lightweight and comfortable shoe that can keep you dry during the frigid and wet winter. 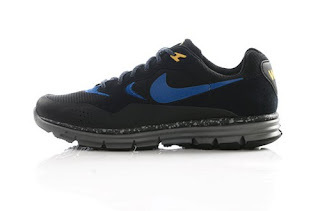 Taking inspiration from Scandinavia’s harsh winter weather, designers at Wood Wood and Nike wanted to make this versatile running shoe that combines ultimate protection with an amazing street-friendly look. “We worked with the Nike design team on color selection, material variations and unique graphics to provide winterized protection against the elements. Whereas the original Nike Wildwood was made mostly for the purpose of running in nature, this project is more about the city. We wanted to bring the shoe into an urban environment. The Lunar Wood TZ is made for the cold and wet Scandinavian nights. Inspiration comes from the world of graffiti and going on these nocturnal expeditions, the empty streets, tunnels, abandoned buildings, and jumping fences,’’ said Brian SS Jensen at Wood Wood alive. The shoe has been beautifully curated with some creative design details. The shoe tongue embroiders Nike Wildwood’s ACG triangle logo with a crescent moon to keep the outdoor spirit. The bright yellow signature “W.W.” is boldly placed only on the left shoe heel. 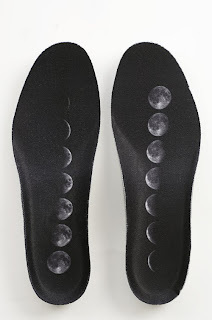 A unique graphic of full moon to eclipse sits on the sockliners. 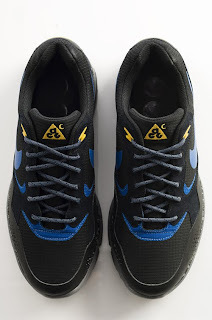 To further keep feet warm and dry, P2i, Ltd.’s Ionmask™ technology was added by applying a nanoscopic protective polymer layer to the whole shoe, which allows water to form beads and simply roll off, instead of being fully absorbed into the shoe. 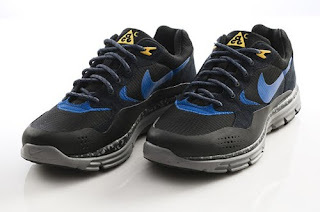 Ionmask™ gives the shoe, stitching included, a superior water repellence. Shoes dry out quickly and won’t get heavier over time, while maintaining the natural airflow of their constructed material. Nike Wood Wood Lunar Wood +. Black, Blue Sapphire, Cool Grey, Del Sol.